Whilst London real estate is slowing, the North continues to see positive growth. 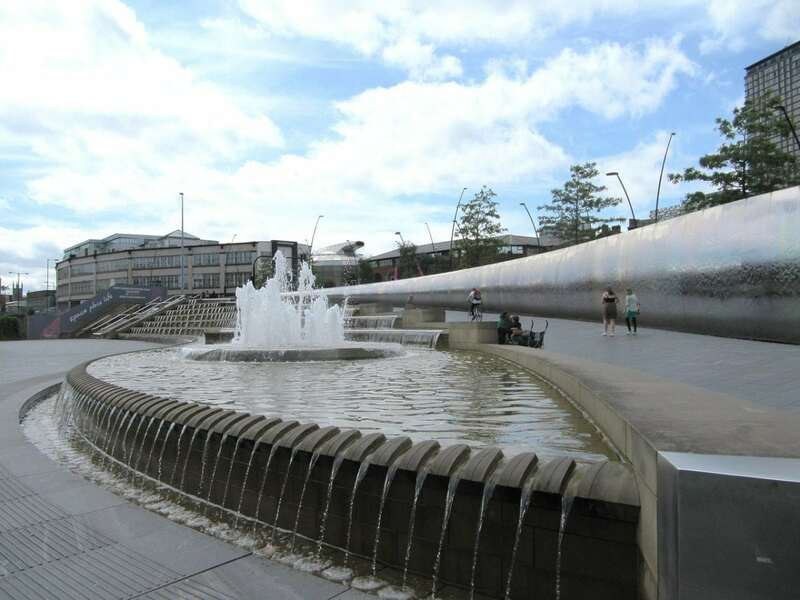 Quidco, the cashback and rewards company owned by the Maple Syrup Media Group, has recently announced that they are moving in to brand new premises in Sheffield’s Fountain Precinct. The 8,750 sq ft office space is nearly treble the size of the 3,000 sq ft that they currently occupy – a clear indication that it is a business set on rapid and dramatic expansion. The business was established by Paul and Jennifer Nikkel back in 2005 when they were both still studying at the University of Sheffield, so the return to the city represents a welcome homecoming for them. MSM’s Dominic Butterell confirmed this when he said, “We looked back to our Yorkshire roots for our new, bigger premises, ideally situated within the heart of Sheffield city centre close to its main retail and business core”. It’s likely that a number of those retailers and businesses will also be benefiting in other ways from their new neighbours, especially if they are among the 5000 brands that work with MSM’s Quidco, the UK’s leading cashback and rewards network. For those not familiar with Quidco, the way that it works is straightforward. Anyone can simply register on their website by giving a few personal details and then they will qualify for savings on a huge range of products and services including home entertainment, fashion and even insurance. Among the brands they cover are Tesco, Waterstones, Marks & Spencer and Aviva but it’s fairly safe to say that, with so many taking part, the chances are that you’ll find all your favourites represented. To shop, you simply buy the products or services online via the link from the Quidco website and after the purchase has been made you’ll receive a percentage of the amount you’ve spent back. You can choose to have this paid directly to your bank or Paypal account or even receive it in the form of Amazon gift vouchers. It’s obviously something that’s caught on with consumers as latest figures show that Quidco has a customer database of over 7 million people and have refunded £370 million worth of customer cashback to date. The company’s new offices, and big plans, for Sheffield seem to be in line with a generally optimistic economic forecast for the city. In the last year or so it, along with Leeds, has been showing real prospects of growth, bucking the trend seen in cities like Manchester, Bradford and Liverpool. In July’s Sheffield City Region Quarterly Economic Review manufacturers reported increased exports and the service sector was also experiencing increased levels of cash flow. Both sectors also reported that they were actively recruiting new staff – as Quidco should surely be as they gear up to expand. So it all seems to be looking up for both the Maple Syrup Media Group and the city of Sheffield – and that has to be very good news for everyone. Next PostHow long before your business accept payments in bitcoin?